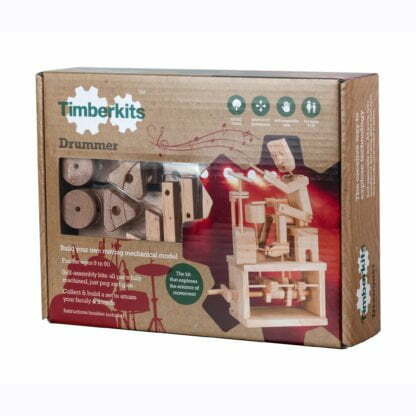 View basket “Timberkits Battery Pack” has been added to your basket. 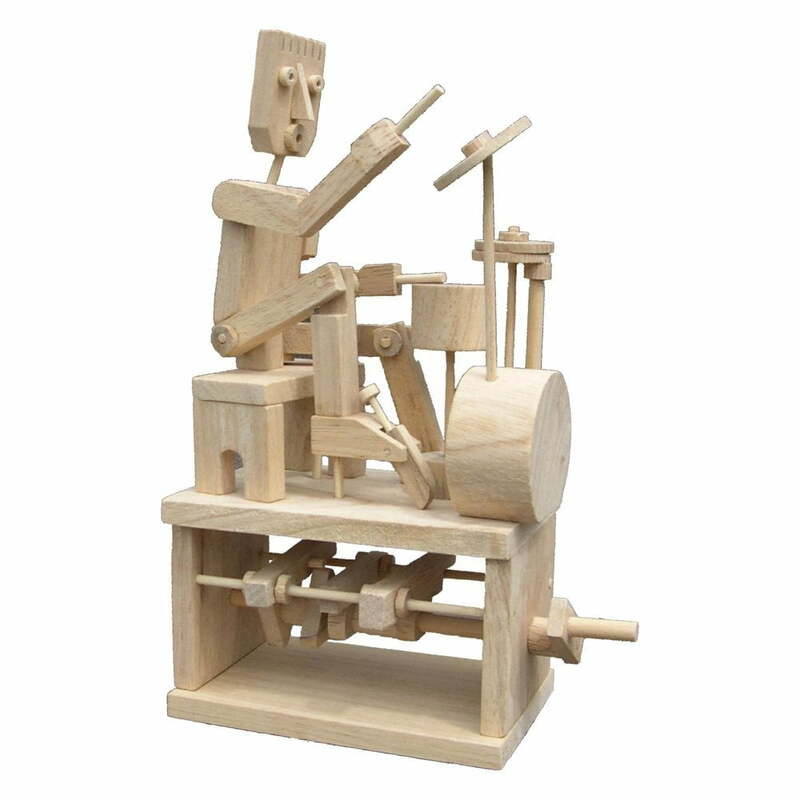 This is a wonderful 3D wooden drummer model to build yourself from the clever people at Timberkits. He never gets tired of his rhythm! 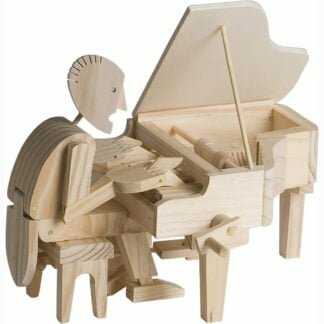 We could watch him for hours – a fascinating level of detail. 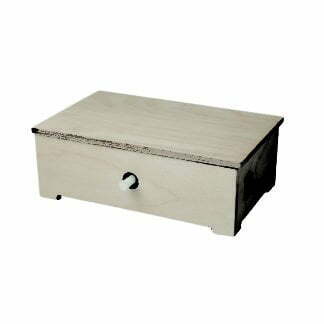 All the pieces are pre-engineered so that you just need to follow the detailed instructions and piece it together. 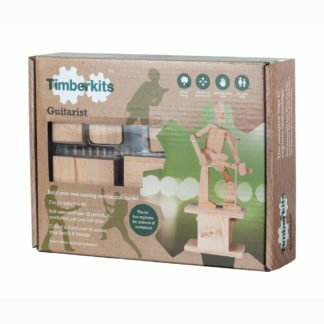 The model works with a hand crank which is included or can be attached to a battery pack to make it move constantly – available on this website. 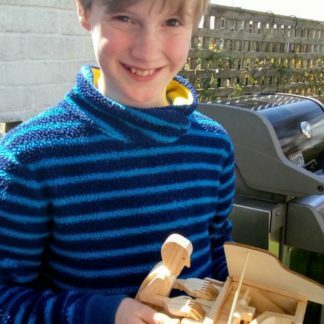 This is a confident level build – great for those with some experience of model-making already. 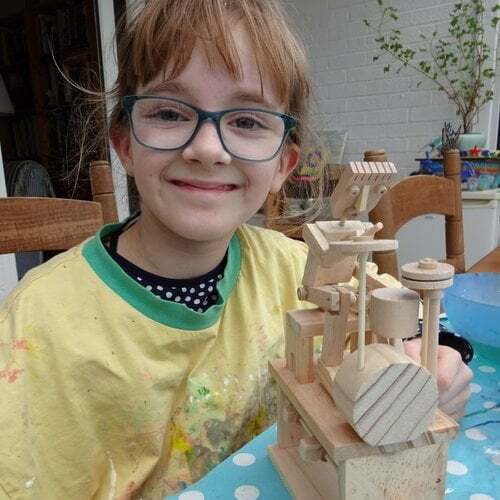 This is a STEM toy – find out more about STEM here. Great for big kids who are into drums. 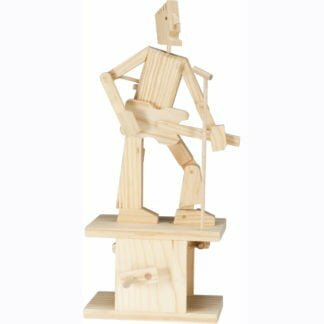 The replication of the drumming technique is amazing and he makes a great friend to live out your rock and roll dreams.